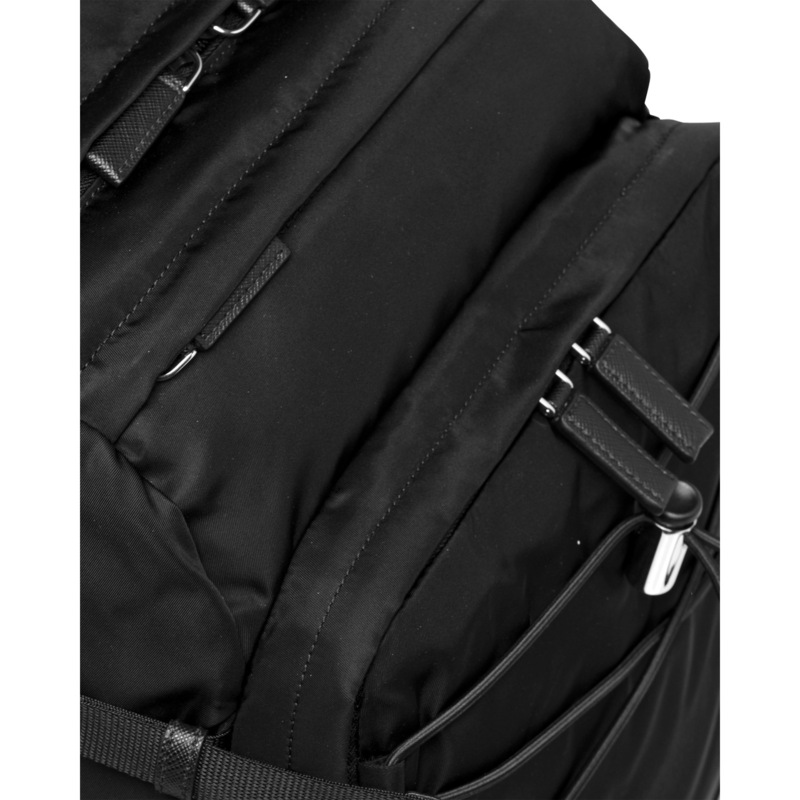 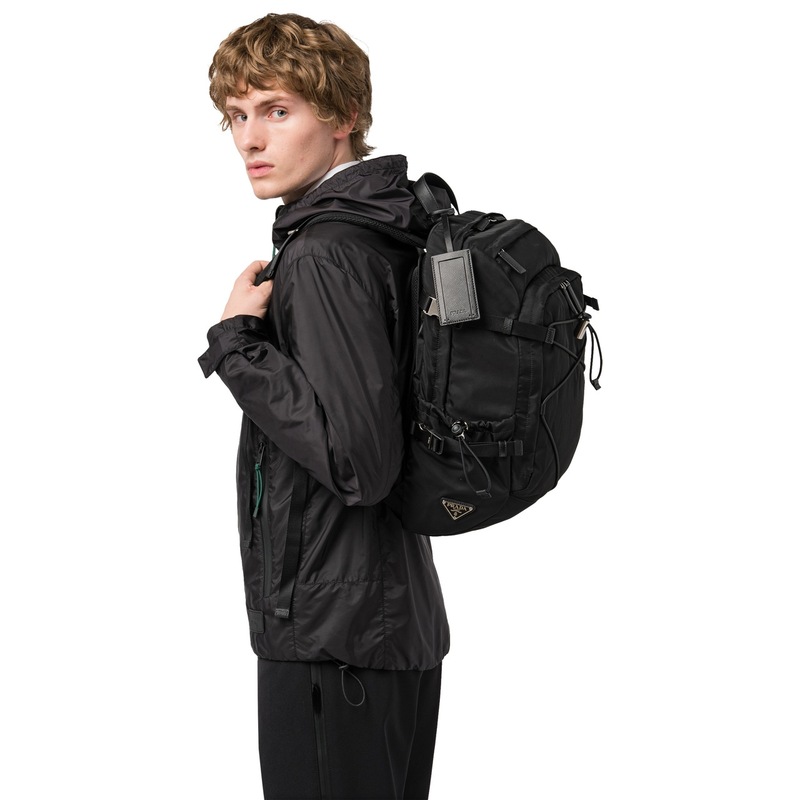 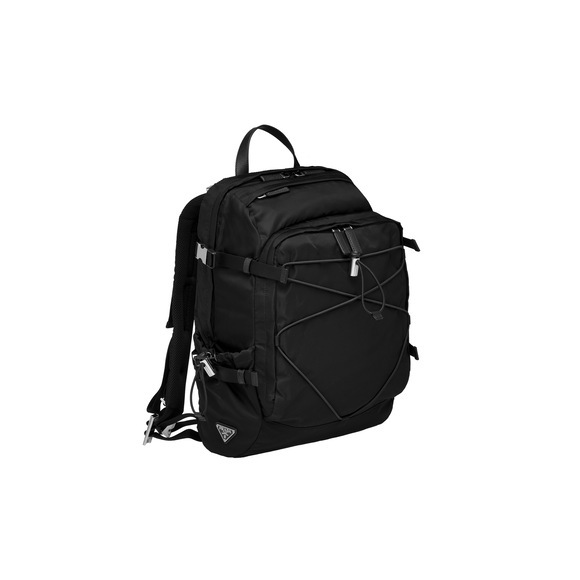 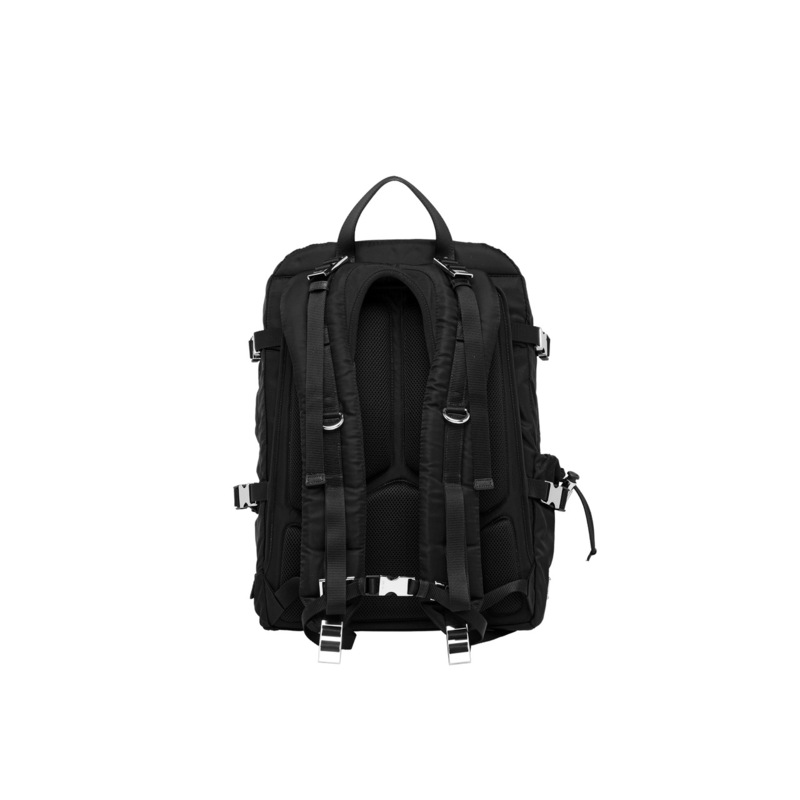 A technical fabric backpack detailed with elastic cord webbing. 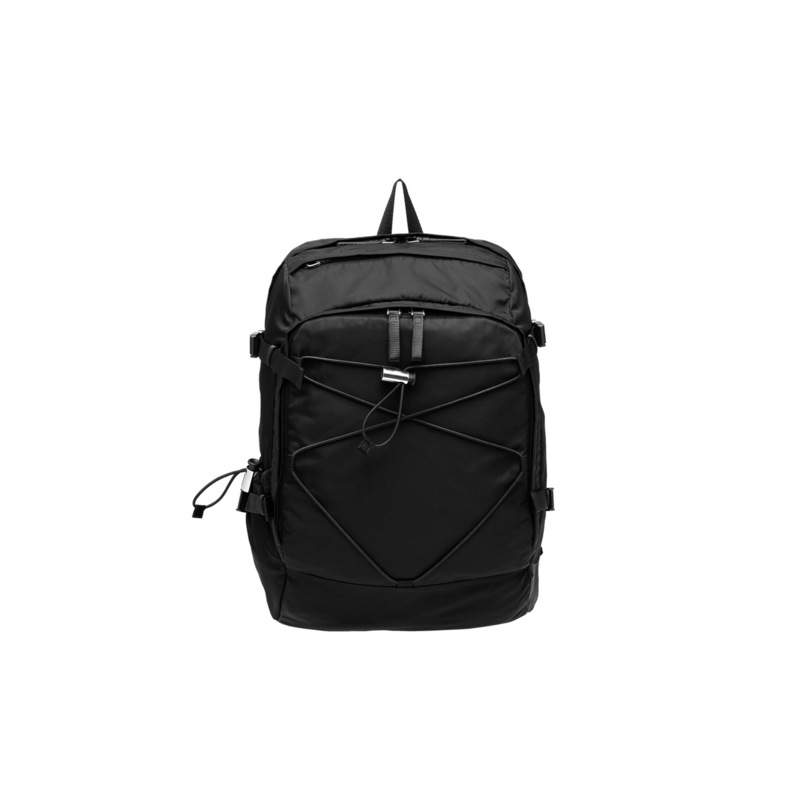 The bag features two inside compartments and one outside pocket. 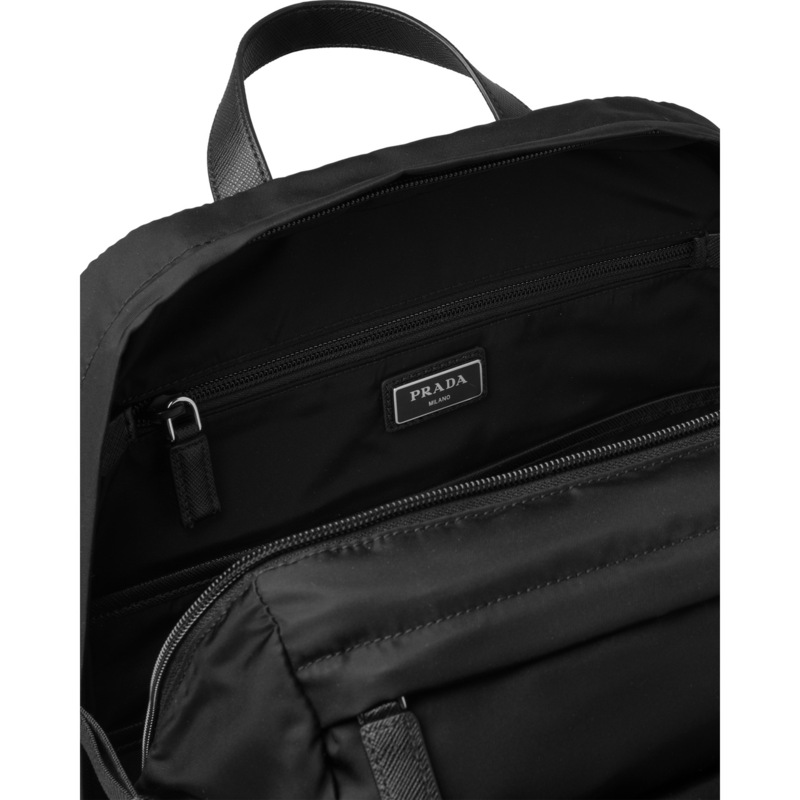 The shoulder straps and back are padded and there is a Prada logo on the side.